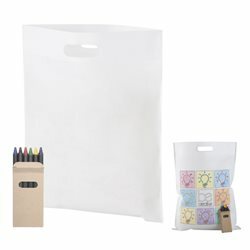 Non-woven, colouring shopping bag with 6 pc crayon set. Price includes printing of 1 colour logo contour. MOQ: 100 pcs.